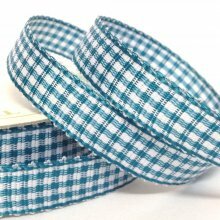 Gingham literally means 'woven cloth' and has been with us for centuries. 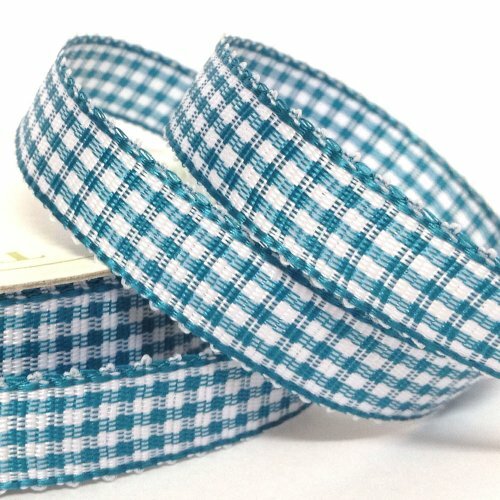 It is such a classic look and with an amazing 5 metres on a roll is great value, this is our new cool colour of Teal but why not take a peek at the complete range which is ideal for that home spun look. A really popular choice as it is perfect for all your craft and hobby projects and looks stunning on gift packaging. 5m roll.